Among the current roster, Edge would’ve liked to have feuds with Seth Rollins, Roman Reigns, A.J. Styles and Sami Zayn. Christian would also like to face off against Styles and Zayn. Styles credits his time with New Japan leading to his WWE career. When Styles first began with the company, Vince pulled him aside, and gave him advisement on what he was expecting from him. A.J. feels that his future feud with Shinsuke Nakamura is very important, and it was his idea for the Money in the Bank spot where they teased a future match up. After last week’s conversation, Tommy Dreamer admits to having skin cancer a few years ago in order to raise awareness for others. Edge concedes that their guest today was a “get” from Christian, and gives him trouble that all of the guests that he gets are from his TNA days, effectively making them “Owl” gets. Christian corrects Edge that technically, it’s a “Panda” get, since that was the company that owned TNA back in his day. They don’t understand the Owl and joke that nothing screams wrestling like the flying bird. 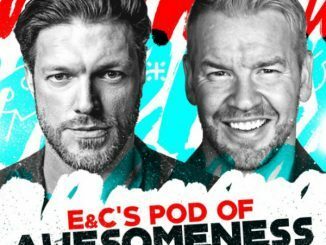 Edge states that Beth was in attendance for the taping of the Mae Young Classic, and said it was really good. She noted to him that everything about it was great, from the matches to the talent involved. She even got to do commentary on a dark match. What was the most ridiculous matches by design or because they dissolved into madness? First for Edge is the Punjabi Prison match, though it is in no fault of the talent. In his opinion, what do you do in that thing? The rules are contrived, and he thinks that it was something that sounded cool and looks cool, but overall that’s where it ends. He also mentions the classic “Kennel from Hell” match featuring Al Snow and the Big Boss Man. For Christian, back in TNA he was involved in a Reverse Battle Royal. The rules were that the competitors had to begin on the floor, and then get in the ring. It was confusing for the talent involved, and the audience. Best & Worst Flag Matches in WWE History. Neither can remember any, but Edge mentions that usually, anything on a pole is not usually good. When you take away falls and submissions, it’s a different beast that isn’t necessary. Some of your greatest matches that would never happen. Christian says it would be against anyone because he is awesome. Edge gets asked this a lot and tries not to think about it, but for the fans sake, they will answer. A.J. Styles has been Christian’s favorite guy to watch, and while he’s wrestled him before, it has not been at the current stage of Styles’ career. 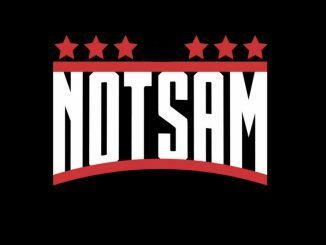 Taking that away, he has never been in the ring with Sami Zayn, and would enjoy that. Edge thinks that Seth Rollins would be a good adversary, especially with Edge as the heel. He would also have a lot of fun with A.J. Styles, and Sami Zayn. He’d also like to take on Reigns as a heel, and would love the challenge of trying to get him cheered, similar to his 2006 feud with John Cena. Outside of the WWE: the boys mention Kenny Omega, and the Young Bucks. 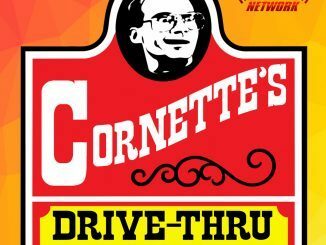 For a PPV how big does catering get? It’s always the same except for house shows, where there isn’t any. What is the best gimmick match of all time? The TLC or a Ladder Match are the tops for them, but they also enjoy Hell in a Cell, and even just a cage match. Some of Edge’s favorite matches were in a cage, as he faced off against a number of wrestlers including: Kurt Angle, Y2J, and The Hardy’s. E&C reminisce about how they once wrestled in the old school blue cage, which hurt so much. We are then interrupted by the Stone Cold impersonator, who sings A.J. Styles’ theme song. That interview is up next. A.J. has now been wrestling for 18 years. How’s his body feeling? He acknowledges that he just turned 40, but overall he still feels pretty good. The bumps are something that he’s learned to live with, but every time he misses the 450, it doesn’t feel too good. Going forward he may have to either hit it, or not do it anymore. They talk about how he is a father of four, and want to know how cool is it that his kids are old enough to know what he does? For Styles, it’s all they’ve ever known, since he’s been doing it before they were even born. He’s a little cooler now that he’s in the WWE, but he’s not that cool. He talks about how one is probably going to become a wrestler, and that he’s more open to encouraging them since the business has evolved into a tamer atmosphere. E&C joke how they were always the boring guys back in the day, since they would go back to the hotel and read. Styles explains that those things are more accepted now, and that the wrestlers are realizing that a healthy lifestyle away from the ring is better for them. Edge talks about how loyal of a guy A.J. is, referencing his time in TNA. Styles admits that there was a specific meeting many years ago, where Dixie told the roster that if they weren’t happy, then they had the option to leave. He looked over at Christian, and waited for his response, as he would have walked out if Christian did. He and Captain Charisma talk about their run in the company, and Styles acknowledges that it was one of the most fun things that he had ever done, and loved playing Christian’s lackey. It was great for him and his character, as it was opening up another part of him that people hadn’t seen. The more layers you have, the better chances for success in your career. Edge asks him what the tipping point to leaving the company was. Styles states that this is how he earns a living. While he takes pride in what he does, at the end of the day, if he is not supporting his family, then he shouldn’t be there. Therefore the company was having financial issues, because they used their money terribly. They continued to extend negotiations, and it continued to go nowhere, so he felt it was time to leave. It was a scary decision, but it felt like the right call, based on the whole principle of how he was being treated during the contract negotiations. It was exciting to work the indies, and he even reached out to WWE at the time, but it didn’t lead to anything. In hindsight, it was a good decision, and Styles believes that being the top guy in New Japan helped lead to his WWE career. He is then asked about moving to the WWE. Styles said that it was a quick turnaround, as he wrestled a match in New Japan the first week of January, and then went into testing a few days later. The day of the Rumble, the company flew him into Tampa to keep him hidden. He said it was a crazy feeling to not only make his debut in the WWE, but at the Royal Rumble no less. He honestly didn’t know if anyone would know who he was, and felt the fan reaction was unbelievable. In fact, no one expected that, as he’d heard stories that Vince was worried about what the reaction would be also. 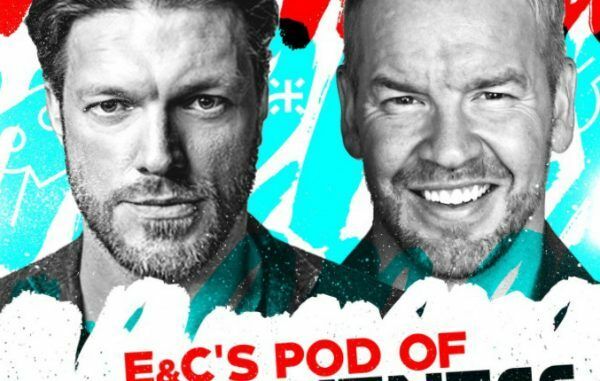 Edge feels that Vince works so hard that he has his mind focused entirely on the WWE, and more than likely isn’t aware of those outside the company. Edge brings up the quick evolution of his stardom, from his debut feud with Jericho moving on to Roman Reigns. Christian feels that the reaction A.J. received helped his case with moving him along quicker. Styles tells a story where he had a typical match, and Vince told him “I’ve got tons of guys that can have that match. Where’s this pitbull?” The next night, he was on Miz TV, and showed some fire beating up the Miz. Afterwards, Vince acknowledged that this was the guy he wanted. Edge says how great it was to get that note, as that does not happen often. He always says that to succeed, you have to talk to Vince. A.J. agrees and notes that it made the biggest difference. He believes that Vince wants to talk to the boys and wants that relationship, but he is just incredibly busy. Edge states that Vince looks for the folks that have the guts to talk to him, and feels that the ones that do show the elements of succeeding. Christian adds that if you have that conversation and deliver, you’re earning trust. A.J. agrees and says that he knows that Vince’s time is valuable, so he doesn’t want to waste it or say anything silly. People don’t realize how brilliant McMahon is, but it is great to talk to him and get to know him. Moving on, A.J.’s first WrestleMania was in Dallas. What were his thoughts? Not only was it the first, but it was the biggest Mania ever. Because of that he couldn’t wait for it to be over, so he could say he did it, and enjoy afterwards. Walking down the aisle was great, and wrestling Chris Jericho was even better. He probably should’ve enjoyed it more, but it was just his feeling and nerves at the time. Christian mentions how you learn to take it in, because you don’t know which one could be your last. Edge always took a moment to soak it in, which would actually have an effective way of calming him. Moving to WrestleMania 33, it was a night and day difference, as he was able to enjoy it, and look forward to it. In addition, he knew that the expectations for his match with Shane were low, but he knew they’d deliver. He even had butterflies in anticipation of proving the fans what they could do, and they did. He had so much fun in that match and has a lot of respect for Shane. E & C recognize how awesome it was that he became WWE Champion, and note how you don’t get to that spot by accident. For Styles, it was amazing to call himself the WWE Champion. Christian tells a story of how after he had first won the World Heavyweight Championship, he hung out with some friends, including Styles. A.J. took a moment to recognize Christian’s accomplishment. When Christian made the comment that it was only for a few days, Styles noted that, “It doesn’t matter, you were the champion” which made him feel good. Talk moves on to his feuds with Roman Reigns and John Cena, which were great matches, and led to his continuing education in the ring. He believes that he is still learning and how exciting that is for him. Christian brings up how fans continue to criticize Cena about his wrestling style, but in his mind, John is really good, and is just not conventional. A.J. backs that up, and disagrees with the notion that Cena buries guys, as he feels that a feud with John brings out the best in people, and then they have to keep that momentum going. Edge commends A.J. for understanding that he could learn from Roman and John, which says something about the type of person he is. A.J. notes that it’s all about being humble about who you are and being willing to learn something. Christian says that it takes two to make a great feud/match, but Styles beat Cena clean, which shows where John and the company saw him. Styles states that a wrestler’s job is to make each other look like a superstar. He references his feud with James Ellsworth, and thinking how they could get more out of the story, instead of just beating him up. His job is to just do his best, and make whatever he’s supposed to do entertaining. The boys reference his recent U.S. Championship win at Madison Square Garden. Styles notes that there was a lot of speculation into why it actually happened, but it was a Vince call where they just wanted to do something different at a house show. He acknowledges how smart it was, because it hasn’t been done for a while, and that it was awesome and clever. Not only was it in the Garden, but the reaction was great, which made it special. Moving forward, who would he like to work with in the future? A.J. mentions that Rusev would be fun, and on the Raw side, either Seth Rollins or Finn Balor. He’s never fought Nakamura on U.S. soil, and even then, it was only once. Overall, his top goal is to find his way to the main event of WrestleMania. In his mind, nothing is better than being a part of Mania, except for main-eventing Mania. Going back to Nakamura, he believes that there is a lot of story there, and would want to face off against him at Mania. In fact, he’s already let the company know how important this eventual match is to him, and wants to stretch this out for a big payoff. Edge agrees, and mentions the tease of a future match during the Money in the Bank contest this year. Styles admits that this spot was his idea, with the goal being to show Vince that it would be something special, which gave him a good feeling after the crowd’s reaction. We wrap up the interview, and E&C thank the Phenomenal One for calling in. Last week, Tommy had phone issues which cut short his segment. Right before that, Christian had been telling a serious story about a skin cancer scare that he had experienced. Based on that, Tommy wanted to call back in, and share a story of his own. A few years back, he went to a psychic, acknowledging that he did it for only entertainment, as he wasn’t a big believer in that sort of thing. His thoughts were changed when the psychic, who knew nothing about him, started mentioning personal things that no one would know. As they were wrapping up, the psychic asked him what was wrong with his head, and advised to get the issue checked. Tommy ended up going to a dermatologist, as he had been having issues, and found out that he had skin cancer on his forehead. Even though he put pro wrestling ahead of his doctor’s orders, he eventually got the situation taken care of and is cancer free. He feels that you can’t put a price on your life, and had never really told anybody, but felt it was appropriate to open up, and share with others to get yourself checked, and take care of yourself. E & C thank Tommy for opening up, and acknowledge what a great person that he is, and how he cares for others. They wrap up the show, and encourage everyone to follow the show on Twitter @EandCPod, E-Mail them at ecpodofawesomeness@gmail.com, and to call their Voicemail at 929-367-8204. Phenomenal (no pun intended) episode. This is exactly the kind of podcast that I find to be successful. The Q&A’s were a great opener with some interesting questions that you don’t normally hear. Obviously, the A.J. interview was the cream of the crop, and covered interesting stories at a quick pace, while also giving the listener enough information. Styles just comes across as a very professional, humble guy, who deserves all of his success. It was interesting to hear the Vince stories, and get more insight into his thoughts on being with the company. Finally, Tommy’s call was nice, and inspiring to others. As noted by E&C, that was a really genuine thing for Dreamer to do, and it shows what kind of guy he really is. Feel free to follow me on Twitter @the_Indel or send me an email at indelpw@gmail.com. See you next week! Jeff has been a fan of professional wrestling since he was knee high to a grasshopper (little kid), after coming across the Wrestling Challenge episode after WrestleMania 7, and has not looked back. His passion has led him to winning wrestling trivia contests in his city, and even won him his Senior Talent Show by dancing to Shawn Michaels theme song. When not annoying others with wrestling talk, he loves spending time with his family and friends, and focuses on his other passion: movies.